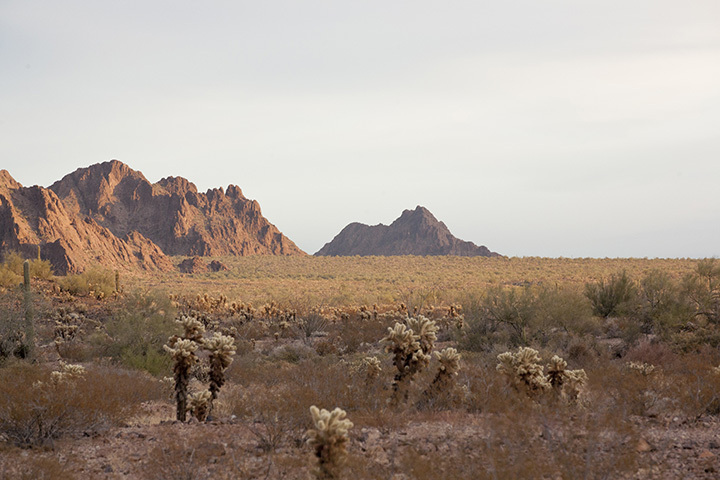 Kofa National Wildlife Refuge was established in 1939 for the protection of bighorn sheep and is located on the east side of State Highway 95 between Yuma and Quartzsite, Arizona. We had passed it once before on our travels, but we didn’t have time to stop. 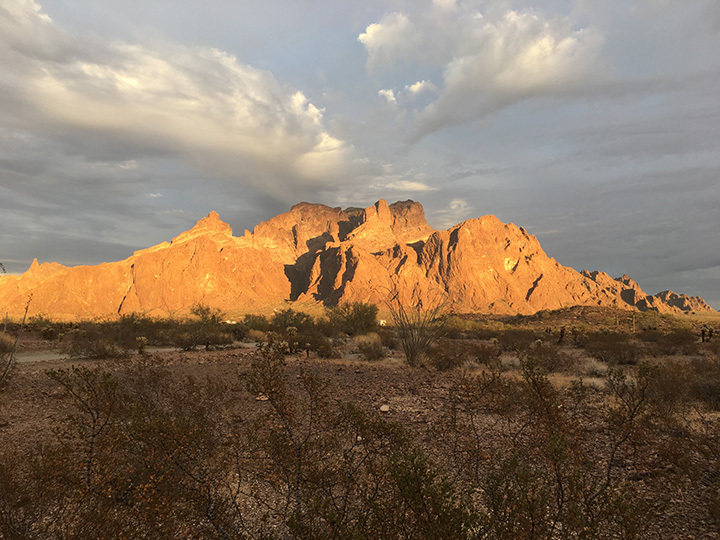 On our way back to Quartzsite this year we made sure to enjoy a few days in this beautiful place! This is boondocking. No water, bathrooms, dump station or trash bins nearby so plan accordingly. 14-day camping limit, in any 12-month period. Familiarize yourself with Kofa's rules and regulations and visitor handout. The closest “big” supermarket will be in Blythe, CA or Yuma, AZ. There are small stores in Quartzsite which is the closest town. We chose to stay off Palm Canyon Road, which is most big rig accessible. You’ll turn off 95 onto the dirt road and immediately find two pullouts that can be used as staging areas on each side of the road (north and south). This was helpful to us because although we knew the general area we were planning on parking, we didn’t know what was available. I parked the RV in this area while Tommi and Lily took the Jeep to scout. 15 minutes later I got a phone call to bring the RV 6 miles down the road. The section of dirt road between 95 and the Kofa welcome sign was washboarded, which made for a slow, bumpy, loud drive in our Class A. Nothing we couldn’t handle, but not the most pleasant drive. Our toaster didn't survive. The condition of this road probably changes with weather and use. When you go, it could be different, but that was our experience in January. 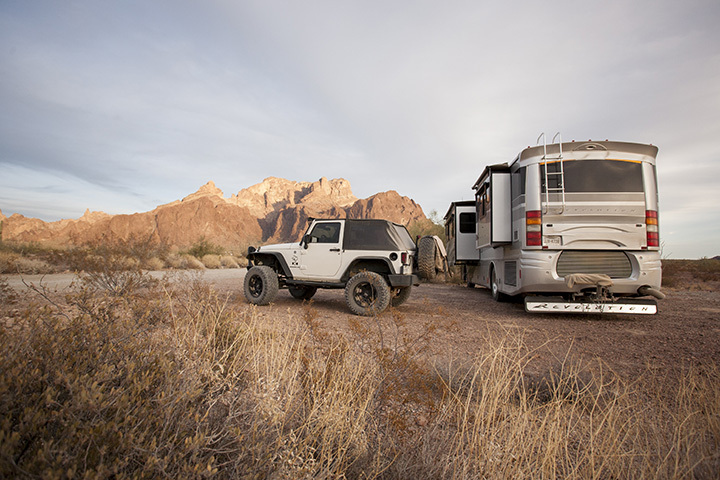 There were many rigs parked on BLM land very close to the 95, which is a good option if you are only staying a day or two, but we found the further down the road you went, the prettier it got! Immediately after passing the KOFA welcome sign about 3 miles in, the road improved. No more rumbling! Tommi had scouted out a spot that would fit us nicely, with no berm upon entry. Very easy to park. All of the designated camping spots along this road are clearly visible and close to the road. If for some reason you can't find a spot, there is a parking area at the end of the road for the trailhead that most rigs would be able to turn around in. 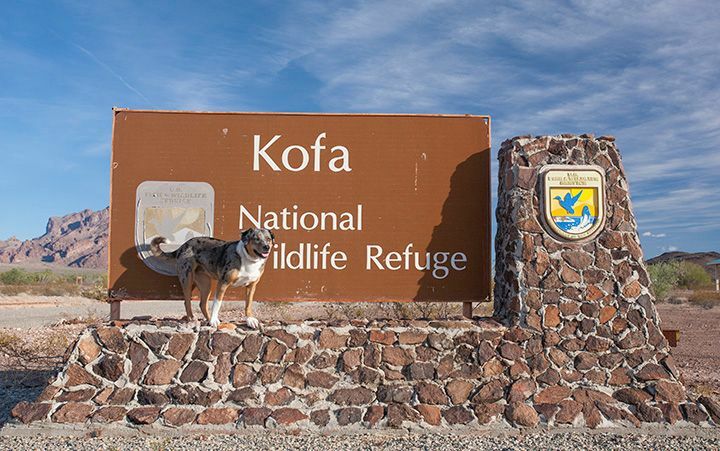 Also worth noting, there is a refuge host located on the right shortly after you pass the Kofa sign. You do not need to register with them and there are no entrance or camping fees. We didn't see the host during our stay but if you have questions or concerns during your stay they would probably be the people to speak to. We didn’t realize it at the time, but we lucked out when choosing our camping spot. Our Verizon and AT&T signals were great. After speaking with some other folks parked in different locations along the road, we found out that the Verizon cell tower was blocked by mountains in certain areas. So before you get too settled in at the spot you choose, check your connection if that’s important to you. If you move just a bit up or down the road, you should find that it improves. 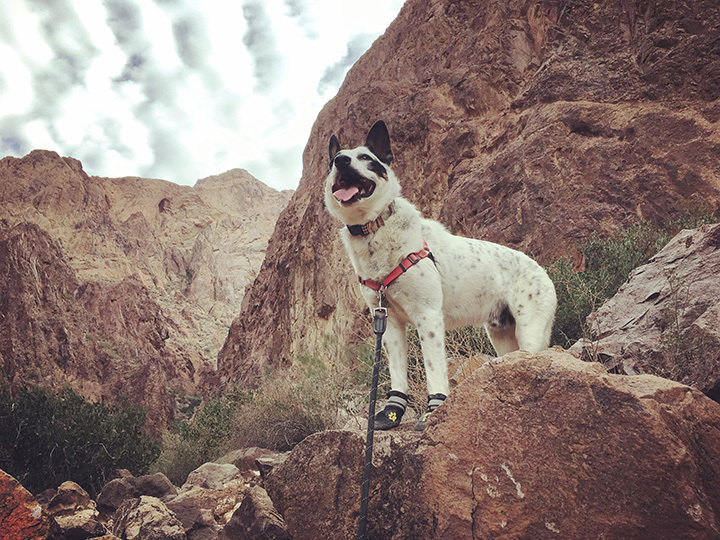 We rarely do hikes without our dogs, because let’s face it, if we go on a hike without them, we still have to exercise them when we get back (and are likely exhausted)! It’s in everyone’s best interest if they come along. We found two hikes that were good for the dogs. (Dogs must be on leash within the wildlife refuge). Lily Protip: There are cholla cactus EVERYWHERE here, which can be awful to try to remove from paws and fur (and mouths!) Luckily the designated camp spots are relatively clear of them. 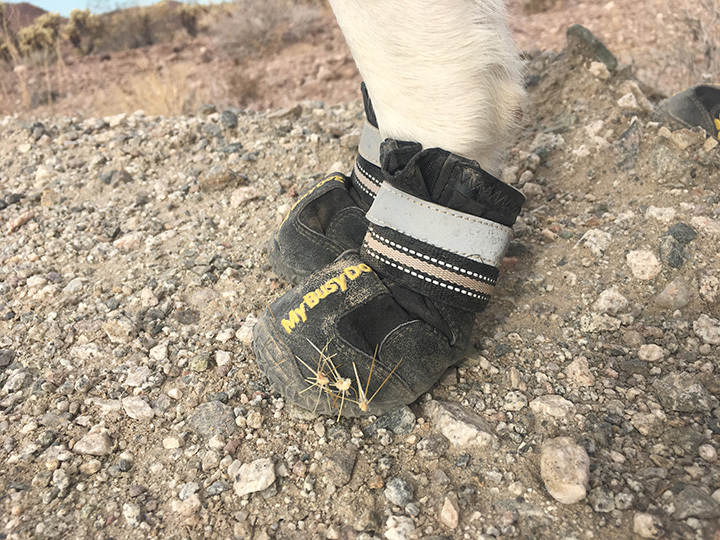 The My Busy Dog booties we own worked great for this landscape and we found proof on Mushy that they saved his paws from impalement! 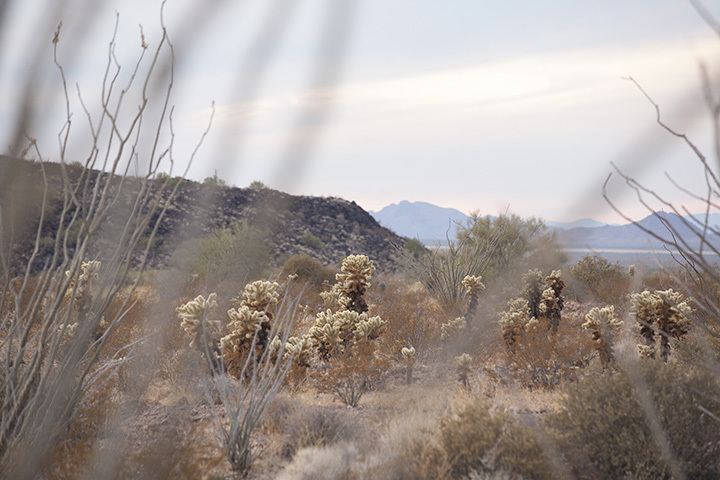 Don’t let your dog wander too far from you where they can encounter cholla on their own. This is the hike that most people coming to the area are here to do. It's 0.5 miles up a relatively steep rocky trail. 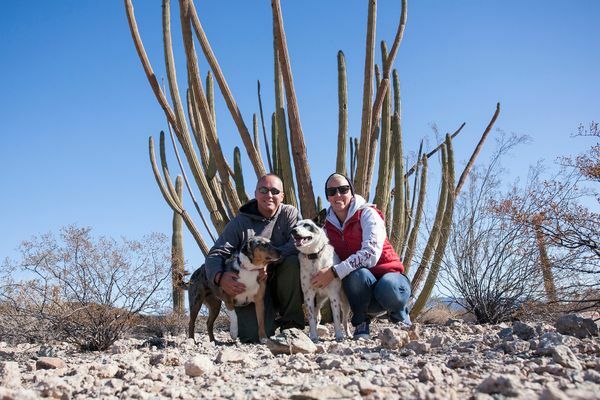 It leads to a sign pointing you to the palm trees, that may be the only place in Arizona where native palm trees, California Fan Palms, are found. Since we had the dogs with us, we didn't continue any further because it got much rockier. 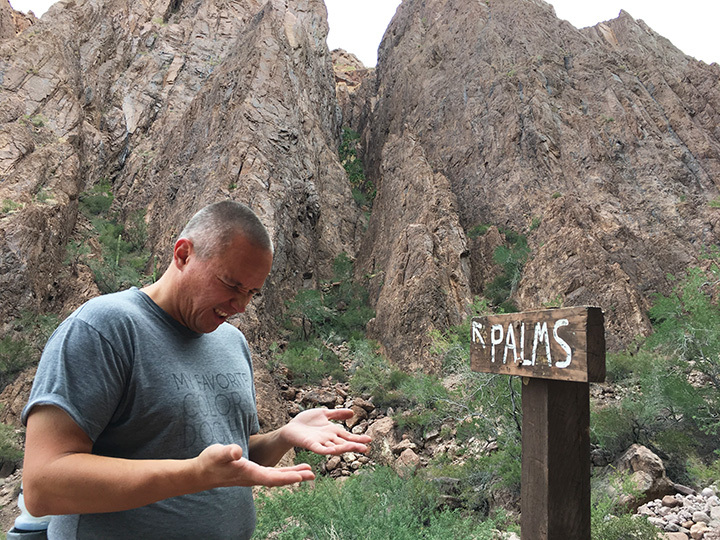 You can actually hike up to the palms, or higher up in the canyon if you want to. Watch out for snakes, we hear they like the more quiet areas and shaded areas. Trail to the left in the parking lot: Ok, that's obviously not it's official name but I'm not sure if it has one! 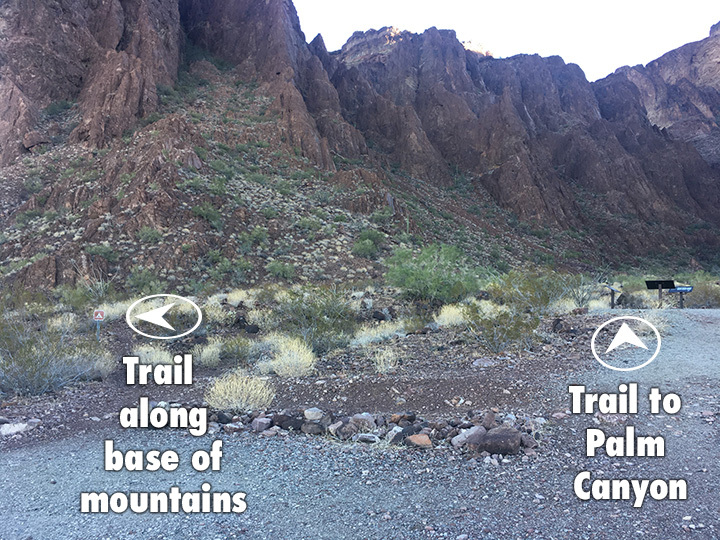 If you're standing in the trailhead parking lot looking at the canyon, turn to your left and you should see a tent camping sign. Follow that trail through the tent camping area and you'll see it continues along the base of the mountains. We only ventured maybe 1/4 mile before turning around, but it seemed like it just kept going and it was an easy trail. This is a nice add-on option to the short hike to Palm Canyon. 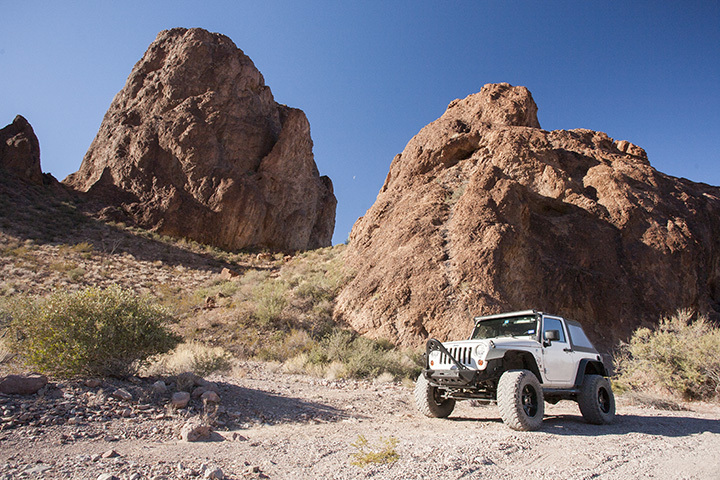 If you have a high clearance 4WD vehicle, you could explore down the road to Queen Canyon. We saw a someone truck camping off this road too. Beautiful spots if your vehicle is suited for it. 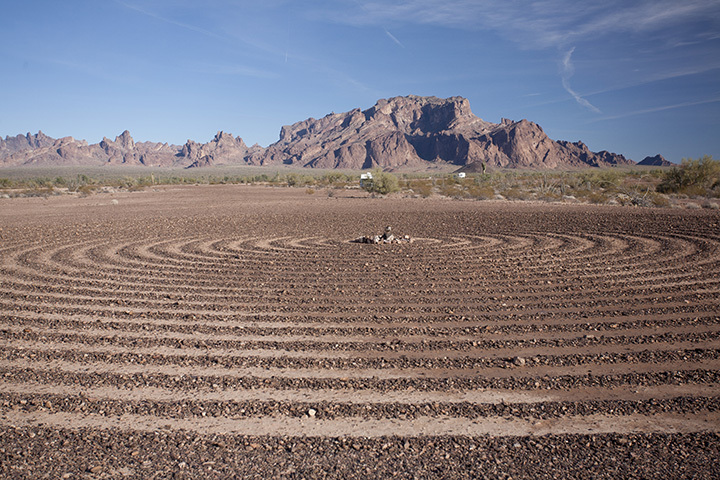 Spiral Labyrinth: This seemingly perfect rock spiral sits on the south side of Palm Canyon road, shortly before you get to the Kofa welcome sign. It's also listed on Google Maps. I can't find any information online about who made it, or why, but it sure is a cool sight and worth a stop if you're passing by. Photography: The scenery here at Kofa is amazing. The landscape is stunning and I'm still kicking myself I didn't have my zoom lens with me when we saw bighorn sheep in the canyon. Binoculars would be great to bring with you too!